You have seen them on the streets! You have seen them on the covers of magazines; and you have seen them on the hottest street rods, muscle cars, kustoms and trucks from coast to coast! Now you too can get that one off custom look on your wheels. 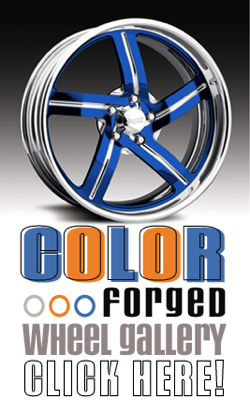 bonspeed was the first to offer the Color Forged© wheel program for billet wheels and since its introduction, the aluminum wheel has never been brighter. 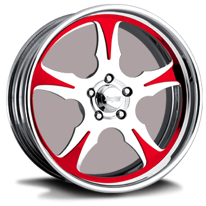 bonspeed Wheels are offered with this exclusive program that personalizes, protects and colorizes your custom wheels. 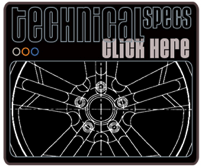 This special-order program provides virtually unlimited choices in which to personalize your wheel selection. Utilizing special UV rated powder coating, only your imagination can limit the possibilities. Let your imagination run wild! Selectively Color Forge just the parts of the spokes that suit you. 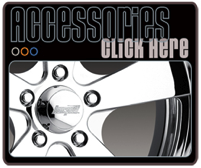 Want the color to match your ride? We can do it! Looking for more of a retro feel or a road race look? 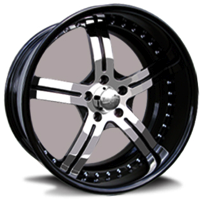 Have your entire wheel Color Forged one color for that racing look or leave certain parts polished for a more modern feel. Clear is here! 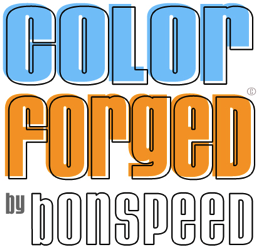 The hottest new product available is bonspeed's special Color Forged clear coat process that locks in that billet show polish shine. You will never have to polish your centers again! • Is the color durable? Yes. Unlike painting your wheels, this process is extremely durable and with proper care should last the lifespan of your wheels without chipping, flaking or fading! • Do you only offer standard colors or can I get mine custom? • Do I have to color the whole wheel or can I only get certain parts done? The options are limitless. Think your idea is too wild? Give us a call and we will let you know. We haven't been stumped yet! 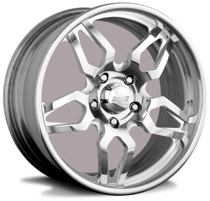 • Does it cost extra to have my wheels Color Forged? Yes. 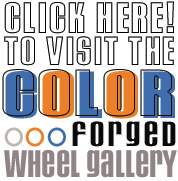 There is a standard flat cost per wheel added for Color Forging. Make sure to ask for that price when you speak to our sales reps.
• Does having my wheels Color Forged add to the build time? 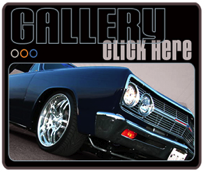 Visit the CF Gallery Now!